Few of the ingredients in this dish are native to Samoa, but this Chinese import has become a Samoan staple. There are loads of variations. Use this as a base recipe and adjust it as you like. 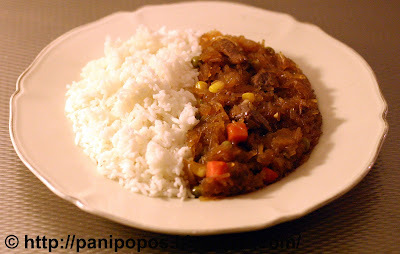 Pork and chicken make great sapasui, as does pisupo (canned corned beef). Mixed vegetables cook quickly and add a nice colour, but fresh vegetables like cabbage, carrot and broccoli also taste great in this dish. Serve hot with rice, taro, or green bananas. 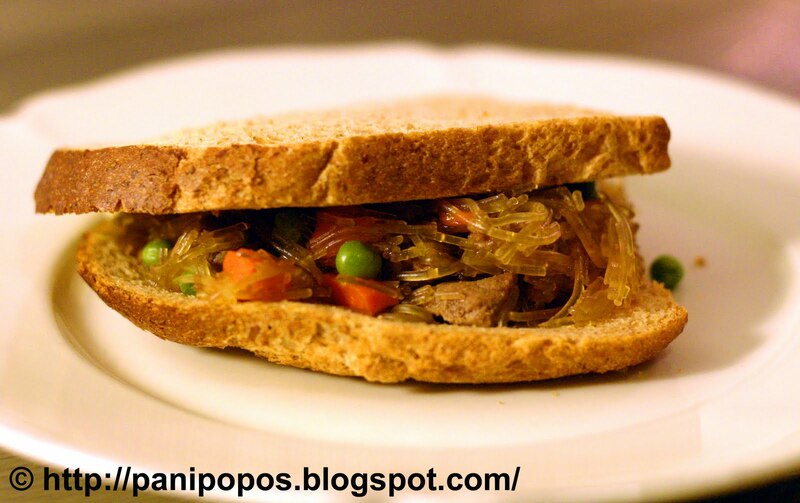 And if you have leftovers and want an awesome lunch, then try making a Sapasui Sandwich. Just butter two slices of bread and slap some sapasui in there, hot or cold. Thank you for the recipie, I found your stuff on youtube, and I will try it. My husband is Samoan, so I will see if I can make it simolar to how his dad does (heres hoping) thank you for being clear on what ingrediants to buy. 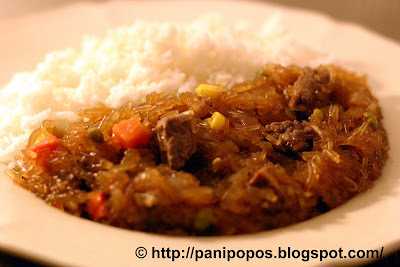 I had this dish at a Samoan friends birthday and loved it, and plan to make it myself now that I have a recipe to follow. Thank you so much for the recipe! I just bought the ingredients. My boyfriend is Samoan so i think i will totally surprise him, this is his favorite dish! He's a lucky guy to have you make sapasui for him...Success met de sapasui! Thanks sooo much, I always have heaps of sapasui at island boys get togethers. I made it to your recipe and they couldn't get enough of it! They can't believe a palangi made it haha! I'm sure you make sapasui as good as any Samoan...Thanks heaps for the feedback! My husband's been dieing for this. We were spoiled by his sister cooking all of our favorite samoan goodies but she's passed on. I'm hoping, with your recipe...I'll make it as good as she did. Thank you! Good luck! Hope it works out, and after you've tasted my version, feel free to put your own twists on it. Hi what is the difference between the soy sauce (2 table spoons of) and the dark soy sauce (3/4 - 1 cup of)?? LOVE!!! LOVE!!! LOVE!!! THIS BLOG!!! I'm a nanny in Austria and was really missing some good samoan food..So I made Sapasui and you Kopai and some Palusami today...P.S. the austrian family i work for love it too. That's so awesome that they liked our food...Good on you for taking Samoan food so far away from the motherland! I'm so excited to make this, I hope I can find the noodles here in West Virginia. I'm so sad I found your website AFTER taking this recipe off :( I've been trying to find a REALLY GOOD recipe, but I guess I can just guess on the measurements by your video. :) Just want to thank you for all these recipes and for setting up this website! You're AMAZING!!!! Thanks so much for dropping by. This website is a labour of love, so please enjoy it, and I hope you find something useful here. Hi! For some reason, this page isn't loading well for me and I REALLY want this recipe :) I would love to make it for our Easter buffet. Would you be so kind as to re-post the ingredients and cooking steps down here in the comment section? Thank you so much, I love and appreciate all your recipes and work. 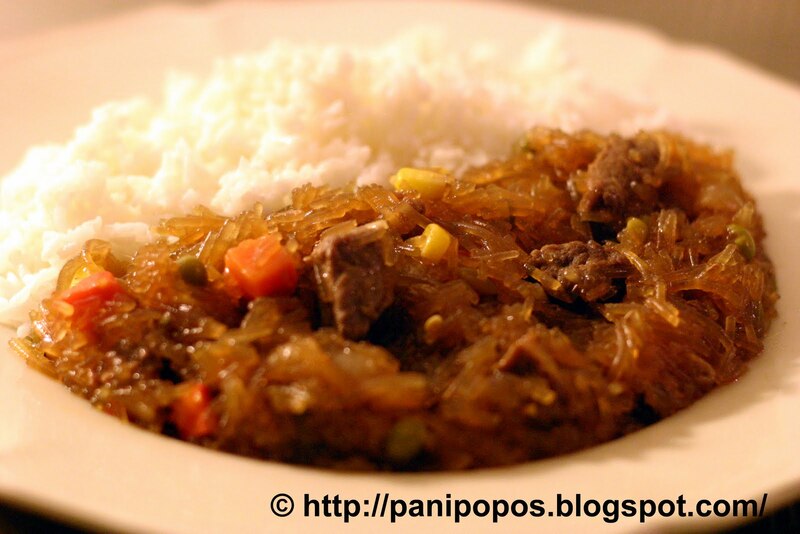 Please watch the instructional video for sapasui which can help you recreate the dish. Enjoy the recipes that are available on this site. Happy cooking! Hi, just wanted to say i love all your recipes. My husband is samoan and loves panipopo, so i'm gonna try and make it! Thanks for the comment. Good luck with all your cooking! Thanks so much for sharing these receipes. I have made Sapasui, Koko rice and Samoan pancakes and thanks to you my kids can't get enough of it. I wish I stayed in the kitchen when my mom was doing all of these, now I have my girls watch so they can learn. Wonderful comment. Glad the kids love it. It's great we can share our food memories with them. Great too that your girls are watching you, so in time you can pass on the wooden spoon. It will reposted again soon. Thanks for your patience. I'm samoan, but I'm to get the receipt for it... I'm trying to make it exactly like my auntie, mom and grandma... But its hard, cause I can't do it like there's please help? Can I get your receipt. I love the sapasui sandwich idea... Just discovered your blog and youtube videos. Very a amazing! Much love n props! Help!!! My mother-in-law asked me to be in charge of the food for her funeral.She said that when people talk about a funeral, they always talk about how goo or bad the food was! LOL! I am a great cook but not of Samoan food. I am palangi and have only been to one Samoan funeral 16 years ago.I need ideas and recipes for a menu to serve after the service.